James Matysek, Northern Peninsula Area State College, Qld. James Matysek was enticed into a teaching degree when he spotted a poster by chance. He quickly became a passionate and committed educator serving one of Australia’s most remote areas. In 1990, aged 18, senior teacher and union activist James Matysek was living in Bamaga in Far North Queensland, stacking shelves at the local store, when he saw a James Cook University poster calling for Aboriginal and Torres Strait Islander students to undertake teacher training. The photographs of black students at the university made a profound impression. “If these people are studying at a university [I thought] maybe I really could do that,” he says. Matysek returned to Bamaga as a qualified teacher, with a strong sense of wanting to repay the community for his education. His plan to stay for five years became 20, and he is now head of student services across the Northern Peninsula Area State College’s three campuses and a member of the union’s Aboriginal and Torres Strait Islander advocacy forum Gandu Jarjum. In 2014, Matysek was named Torres Strait NAIDOC Person of the Year for his contribution to his people and community in education. The quick fixes offered by Canberra or Brisbane, such as short-term teacher appointments or yet another program or “data hunt”, frustrate him. “Our context is very different here,” he says. 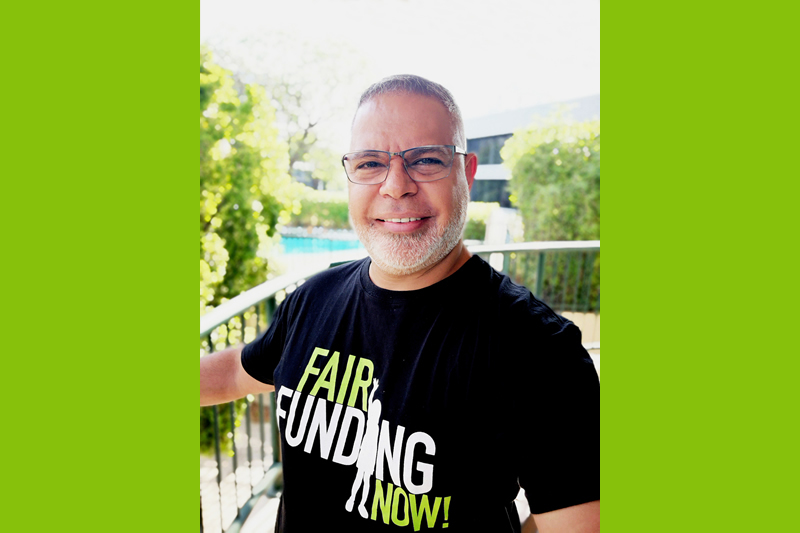 Being a member of the union has been the “one constant, reassuring comfort since the beginning of my career” and it gives Aboriginal and Torres Strait Islander educators a voice, Matysek says. This article originally appeared in the Australian Educator Autumn 2019.